Before its German occupation, “this grass field served as an emergency field for the 3rd and 4th squadrons of the Second Fighter Regiment stationed at Nijvel (Nivelles)” (Schoebrechts). When the Nazis invaded May 10, 1940, these squadrons escaped to Brustem only for the vast majority of planes to be destroyed by the Nazi military the very next day. The Nazi’s gained control of Sint Truiden and operated the airbase as early as May 12. “Several hardstands, hangars, munitions depots, administrative buildings, living quarters at Bevingen, air defence positions, etc. were built as well as three runways. One runway was 5,250 feet long, the second 5,070 feet while the third runway was 4,740 feet long. All three runways were 165 feet wide” (Schoebrechts). It was an important base for the Luftwaffe until its liberation by the Americans in September of 1944. The 404th Fighter Group (FG) arrived in Saint Truiden on September 30, 1944, and was joined by the 48th Fighter Group in very early October. These Fighter Groups flew in support of American ground forces. “St-Trond… A very cold, snow-filled winter with extremely low visibility with a lot of flying, but with comfortable living quarters” (Floyd Blair, Nix Compris – Blair was There). 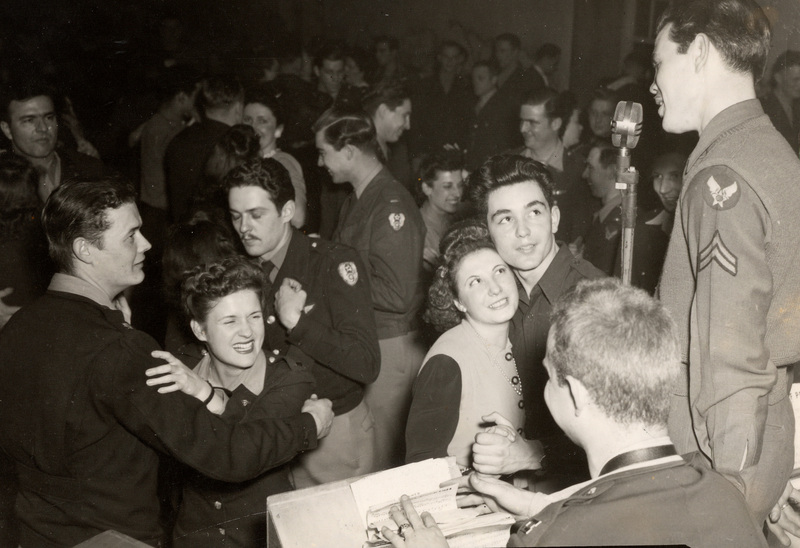 The airbase – now re-titled ‘Airbase A-92’ – began hosting social parties with and local music on Saturday nights beginning October 7, 1944. 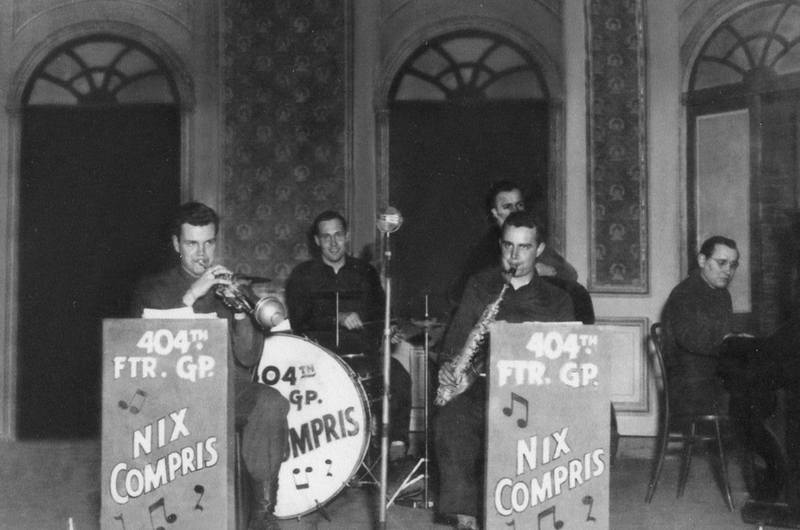 By November 11, a band had been formed: “Nix Compris” with “‘Count’” Pacic on piano, Chuck Higgins on drums, Noel Arrighi on bass, Andy Kirk on trumpet and Floyd Blair on saxophone and clarinet” (Schoebrechts). “Nix Compris” entertaining guests at Airbase A-92. Please note Floyd Blair playing the saxophone. “The name of the band, “Nix Compris”, was derived from an expression the Americans used frequently when talking and discussing with the locals. ‘Nix’ is the phonetic version for the Flemish word ‘niks’ meaning ‘nothing’. ‘Compris’ is the French word for ‘understand’ …” (Schoebrechts). Military personnel and guests at one of the Saturday night parties. Woman on the left is presumably a nurse from one of the surrounding field hospitals; Woman on the right, presumably Belgian (?). Specific date unknown. It may be easily speculated that various nurses from The University of Cincinnati 25th General Hospital, having settled in Tongres by early March 1945, attended some of these festivities. It’s not much more of a stretch to suggest then that these same nurses might have attended these Saturday night parties as early as late November of 1944 soon after being billeted in the city of Liège. Unfortunately there is not much evidence to support this connection beyond the convenience of time, location, and other contextual factors. Though the scattered mention of nurses in the recorded memories of Floyd Blair are particularly reassuring! It is perhaps interesting to note that a silent film depicting the various movements of the 25th titled, Along the War Path also displays rather spectacular scenes of Airbase A-92. The greater majority of Along the War Path is credited as having been filmed by Dr. Jean M. Stevenson who was Chief of Surgery for the 25th General Hospital at the time. Perhaps this too should be taken as evidence strengthening the connection between the 25th and Brustem’s airfield? Along the War Path title screen. This images serves as a link to a streaming version of the silent film. Fantastically, much of the information above has only just been provided to The Winkler Center! It’s the wonderful result of Dr. Charles L. Rich’s personal and enduring investigation into his family’s history. Dr. Rich and his companion, Sue Carney, recently traveled to Brustem, meeting with Hendrik Schoebrechts. As a resident and historian of Brustem, Mr. Schoebrechts was and remains a valuable source of information as well as a good friend. Dr. Charles L. Rich’s friend, Hendrik Shoebrechts. 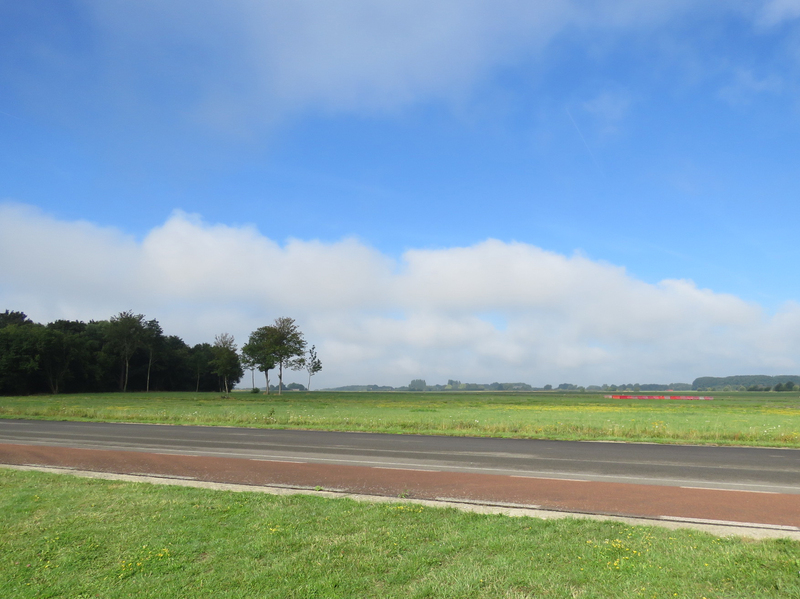 While in Brustem with Mr. Schoebrechts, Dr. Rich and Carney had the pleasure of visiting the remains of Airbase A-92 as well as the museum dedicated to preserving the airbase’s history – Stedelijk Museum: Historisch Centrum Luchtmachbasis Brustem. featuring video of their entire excursion through Brustem and Sint Trond. Dr. Rich and Carney also observed the now abandoned and slowly decaying remains of the Belgian Caserne buildings in Tongres once utilized by Dr. Charles L. Rich’s father, Dr. Murray Lambert Rich, along with the rest of the 25th General Hospital. Dr. Murray Lambert Rich (left); Dr. Charles Lambert Rich (right). They occupy approximately the same spot at differing time periods. past (left) and modern with Dr. Rich and Ms. Carney (right). Major General Paul R. Hawley’s letter praising the 25th General Hospital’s exceptional service (left); Corresponding contemporary newspaper clippings. 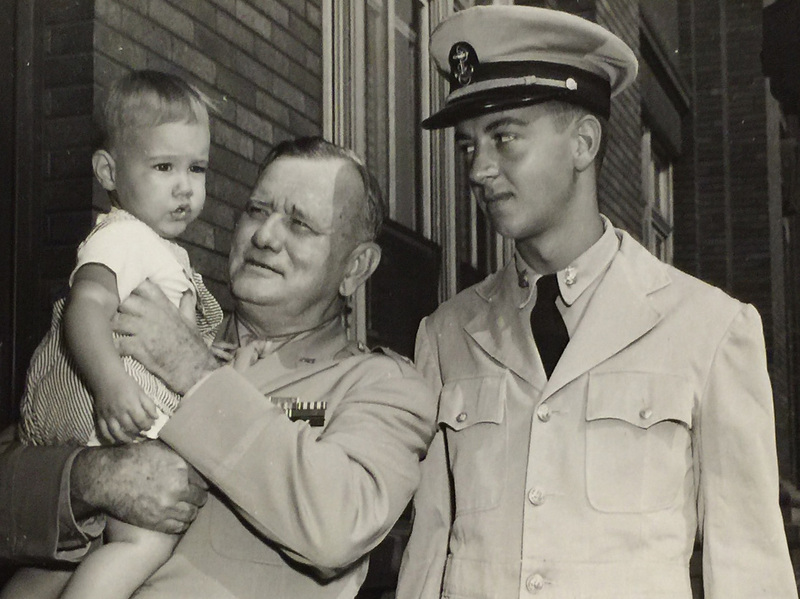 Donald and Major General Paul Hawley (holding child), ca. 1944. It also happens that Dr. Rich and Sue visited the Henri-Chapelle American Cemetery – one of four cemeteries near the border of Belgium and Germany dedicated to honoring American World War II veterans. Many soldiers from the Battle of the Bulge are buried in these Cemeteries. The Henri-Chapelle cemetery in particular, is not terribly far from Liège where the 25th General Hospital was ‘billeted’ in 1944, at least up until the beginning of that infamous battle. May we continue to honor each person’s sacrifice during WWII. Angel Statuette at Henri-Chapelle American Cemetery, Belgium. This image serves as a link to the Henri-Chapelle American Cemetery website. A special thanks to Dr. Charles L. Rich for sharing the information he discovered from his own personal studies into the history of his father. Likewise, many thanks to Sue Carney for documenting their travels together with beautiful photographs and other forms of media. Moreover, thanks ad infinitum to Hendrik Schoebrechts for providing Drs. Charles Rich and Carney with much of the information used and referenced in this blog. Indeed, several of the quotes above are from Mr. Schoebrechts’ published work, Nix Compris – Blair was There, which considers the perspective of Floyd Blair, one of the band’s musicians. Miraculously, Mr. Blair is alive and peacefully well in Florida; Mr. Schoebrechts though, lives just minutes from the airbase in Brustem. Dr. Rich and Sue Carney have returned to the US but remain curious about the history of the 25th General Hospital.